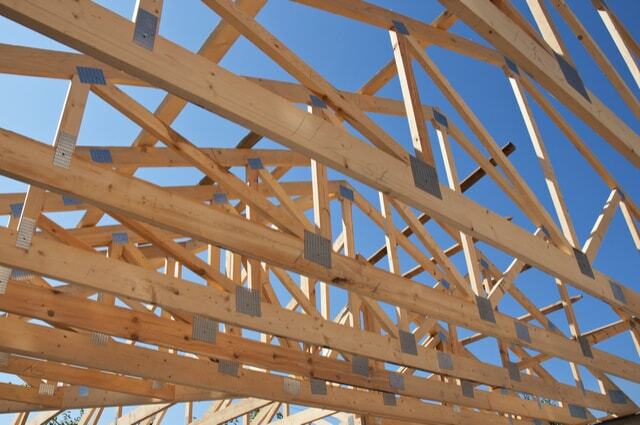 Carcassing timber is a term used to refer to timber processed for use in structural applications including floor joists, roof battens, roof trusses, cladding, decking supports and studwork for partitioned walls. Structural timber comes in a wide range of strengths, sizes, and lengths and can be treated with a preservative or left untreated depending on the project. This type of timber is used for structural applications including timber framing, floor/ceiling joists, and roof rafters. It is also ideal for use in general construction where load-bearing is required. This timber is used in load bearing projects and internal building work including mid-level flooring joists and partitioning. Treated sawn timber can be applied in different construction projects including stud partition for walls, floor/roof joists, and general joinery. The timber can also be used in applications where extra protection and lifespan is required. These applications include outdoor or garden projects such as repairing a shed and trellis work. Sawn kiln dried timber can be used in internal construction projects such as framework and boxing in pipes. This timber works well in general structural applications including stud wall partitioning. Studwork timber is ideal for use in wall partitioning, particularly in high moisture areas such as basements. Roofing battens provide a good fixing point for roofing sheet and tiles.